Last year in Texas, nearly 2,000 students dropped out of middle school. Nearly 35,000 more students dropped out of high school. Comparatively, students in Texas still struggle in math and science. Nationally, public schools are expected to do more with less as budget cuts limit extracurricular activities and expand class sizes. Austin isn’t an exception to these statistics; teachers, parents, and students need our help. Last week I was introduced to Austin Partners in Education, a great nonprofit organization providing comprehensive support to classrooms, at risk students, and struggling students. Their programs served 3,300 students last year, and impacted students from 2nd grade through high school graduates. Through the power of volunteer mentoring, APIE is permanently changing the trajectory of student lives in Austin. Unfortunately, right now Austin Partners in Education is in need of more volunteers to tutor students. 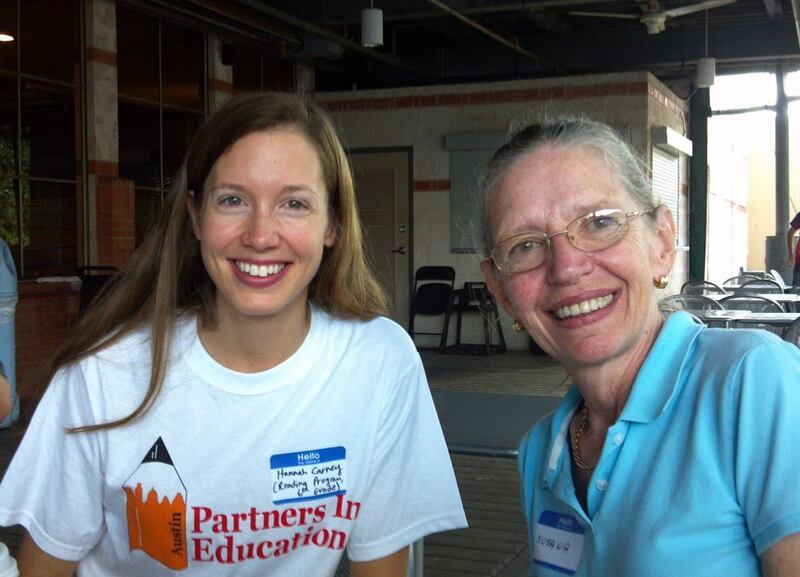 Austin Partners In Education offers Math and Reading Classroom Coaching to Austin schools who are in need of Volunteer Tutors. These reading & math coaches provide consistent, positive support to a small group of 2-3 elementary or middle school students once a week. With full training provided by APIE, volunteers can enrich the lives of Austin's children by giving the gift of time. They are in need of volunteers RIGHT NOW for the 2014 Spring Semester and have over 100 openings available across the Austin area. With volunteers needed at 14 schools across Austin, there is bound to be a convenient opportunity to give the gift of learning. Don’t have time to volunteer but still want to get involved? APIE maintains a list of school needs across AISD, from small school supply needs to technical expertise. Whether you’re willing to donate dry erase markers or repair a marquee sign or help out with gardening tools, the school needs database provides an ongoing way you can change lives for young people in our community.